Stone Barrington is pulled along for the ride when a friend pursues a perilous course of vengeance in the newest novel from #1 New York Times--bestselling author Stuart Woods. In the wake of a personal tragedy, former CIA operative Teddy Fay--now a successful Hollywood film producer known as Billy Barnett--takes a leave of absence to travel and grieve, and lands in Santa Fe in the company of his friends Stone Barrington and Ed Eagle. There, fate hands him an unexpected opportunity to exact quiet revenge for his recent loss, from a man who helped to cover up the crime. But when his enemy wises up to Teddy's machinations, a discreet game of sabotage escalates to a potentially lethal battle. From the arid splendor of the New Mexico desert to the glamour of Hollywood's rolling hills, it will take all of Stone Barrington's diplomacy and skill to maneuver for Teddy's advantage while keeping innocents out of the crossfire. 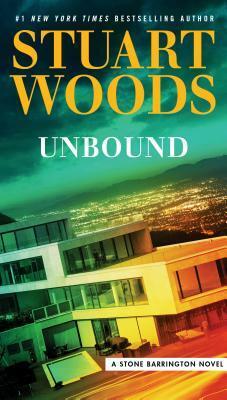 Stuart Woods is the author of more than seventy novels. He is a native of Georgia and began his writing career in the advertising industry. Chiefs, his debut in 1981, won the Edgar Award. An avid sailor and pilot, Woods lives in Florida, Maine, and New Mexico.